With labors he received Eden which is far from toils. 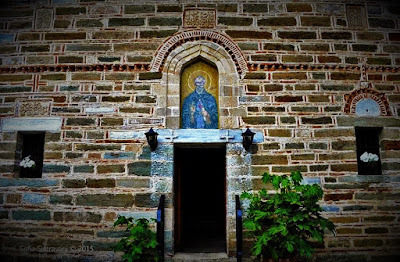 Saint Lawrence lived in the fourteenth century, and was tonsured a monk at Great Lavra Monastery on Mount Athos. 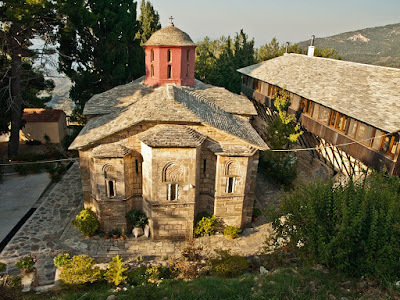 Because of the spread of the heresy of Barlaam and Akyndinos during the Hesychast controversy throughout the Holy Mountain, particularly at Great Lavra, Lawrence left and went to Volos, to the village now known as Agios Lavrentios in Pelion, where he built a monastery over the ruins of another older Benedictine monastery. Emperor Alexios Komnenos sent the Saint a chrysobull, gold and sacred treasures for the building of the monastery. 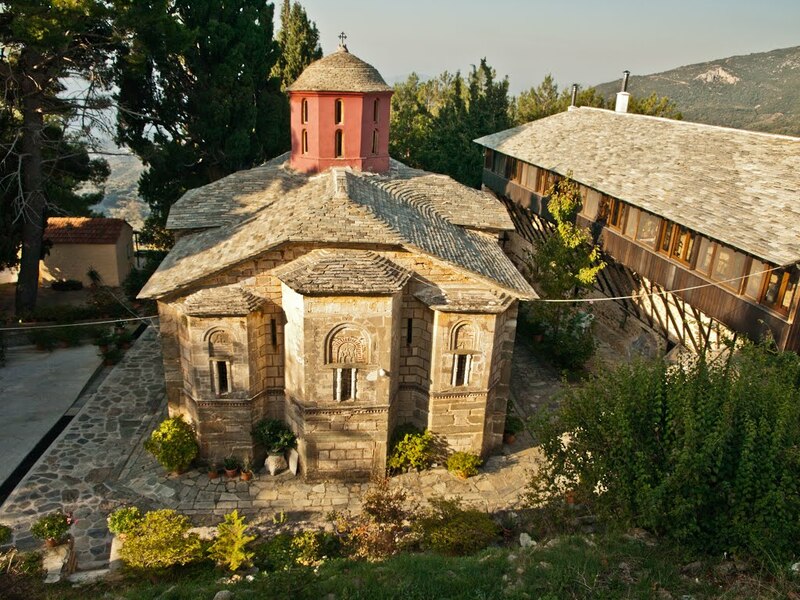 The church was built in 1378, and the skete he founded was dedicated to the Transfiguration of the Savior and the Prophet Elias (some sources say it was originally dedicated to the Holy Archdeacon Lawrence the Martyr of Rome by the Benedictines). It gained great fame quickly and attracted many young monks to reside there. Saint Lawrence reposed in peace in deep old age, after living a life of prayer and fasting, and guiding his spiritual children faithfully and with love. 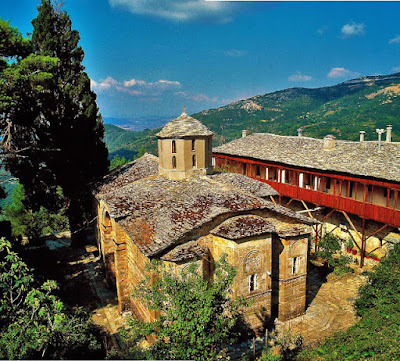 The original Benedictine monastery dates back to the eleventh century, prior to the schism between East and West, and served as a dependency of the Athonite Monastery of Amalfion, which was also a Benedictine monastery, located about halfway between Great Lavra and Karakallou. Only the ruins of a large tower remain today. After the schism, its property was given to Great Lavra. 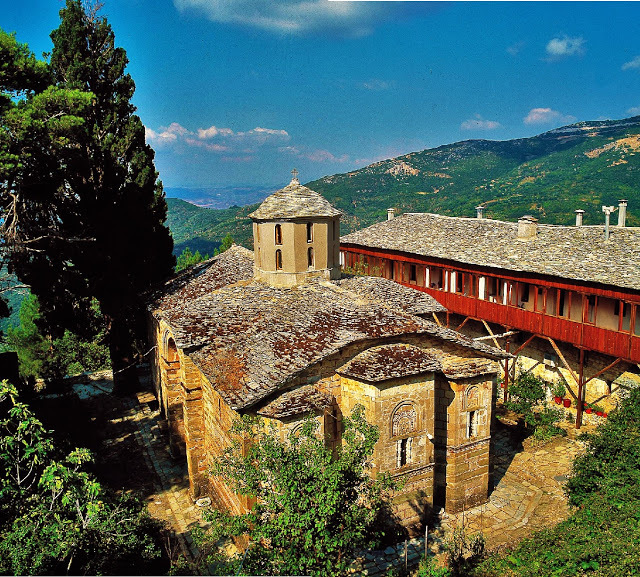 It seems the original monastery in Pelion was dedicated to Saint Andrew. Even after many subsequent changes, it retains some peculiarly Latin architectural features and inscriptions. 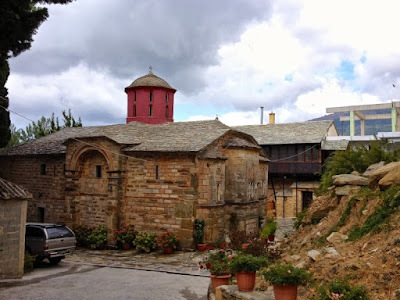 After being abandoned by the Benedictine monks, prior due to the schism, it was re-founded as an Orthodox monastery in the late fourteenth century by Saint Lawrence. 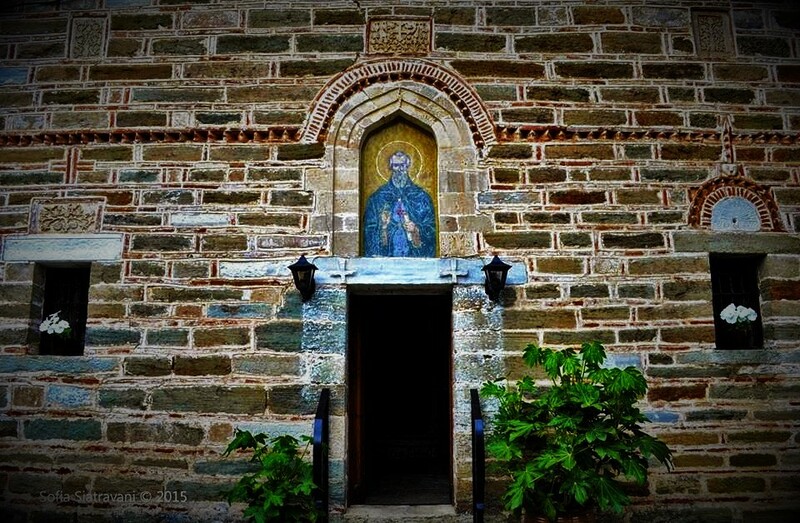 The village later grew up around the monastery, as often happened in Greece, and the village took its name from the monastery. The monastery also took the name of its founder. Today it is a women's monastery with three nuns. The village found, in you great fame, O Lawrence, divine mortal, as an ascetic among ascetic students, and wondrous physician of the sick. Venerable Father, entreat Christ God, to grant us the great mercy.